CASA, which stands for Court Appointed Special Advocates, recruits, screens,trains and supervises volunteers to advocate for abused and neglected children involved in the court system to help secure a permanent, safe home. Tri-County CASA, Inc. has been in operation since 2001 and serves children in foster care settings in Uvalde, Real and Medina Counties. Tri-County CASA relies heavily on the support of its volunteer pool who are highly trained individuals giving their time to make a difference in the life of a child. A CASA volunteer completes a 30 hour training program before being sworn in by a judge and assigned to a case. Cases involving CASA volunteers are usually cases where children have been removed from their parents care, placed in a relative’s home or foster placement, and the judge presiding sees a special need for the case to have the additional support of a CASA. CASA’s visit children, attend court hearings and other meetings involving the welfare of the children in the case, and report to a CASA staff supervisor as well as to the judge hearing the case. The CASA plays an important role in determining the child’s wellbeing while in foster care as well as makes recommendations as to whether it is in the best interest of the child to return home. What is a Child Advocate? A Child Advocate is appointed by a judge to be an independent voice in court for an abused or neglected child. How does an Advocate investigate a case? Advocates talk with the child, parents, family members, caseworkers, school officials, health providers, therapists and others who are knowledgeable about the child’s history. Advocates review school, medical, caseworker reports, and other documents regarding the child during the year the child is in foster care. How does an Advocate differ from a caseworker? CPS caseworkers handle 30 to 40 cases on average and Child Advocates have no more than two cases at a time. CPS caseworkers do not have the time to conduct as in-depth an investigation as does the Advocate. Because Advocates are volunteers, frequently they are perceived as less adversarial by the families and can elicit more cooperation and information than the state’s caseworkers. This information, along with knowledge of community resources, allows Advocates to make recommendations to the court independent of state agency restrictions. How does an Advocate differ from an attorney? The Advocate does not provide legal representation in the courtroom; that is the role of the attorney to represent a child’s wishes, even if it is not in the child’s best interest. A Child Advocate, however, speaks specifically to what is in the best interest of the child. Advocates do provide crucial background information that assists attorneys in presenting their cases. Is there a “typical” Child Advocate? Child Advocates come from all walks of life, representing a variety of ethnic, educational and socioeconomic backgrounds. Approximately two-thirds of our Advocates are employed full-time, some are college students, and some are retired. What they have in common is the belief that children deserve a safe and permanent home. Advocates must be at least 21 years of age and pass a background check. They also must have a high school diploma, valid driver’s license, good driving record, proof of automobile insurance, reliable transportation and the ability to be both compassionate and objective. How does an Advocate relate to the child? Child Advocates explain to the child the events that are happening, why they are in foster care, and the roles the judge, lawyers and caseworkers play. Advocates offer the children what no one else can: consistency and continuity in the midst of all the chaos the children are experiencing. In the course of a normal case, the child will experience several foster placements, new schools, caseworker turnover and ONE Advocate. The trust that is built allows the Advocates to encourage the children to express their feelings and to feel safe. All the while, the Advocates remain objective observers. How much time does being an Advocate take? Each case is different, of course; but most cases require going to court 2 or 3 times during each six-month period to present the Advocate’s report with recommendations to the judge. More time is spent on a case when it is first assigned, as this is the more intensive fact-finding stage. As the case, moves toward resolution cases require less time – about 10 hours per month. How do the legal system and child welfare system view CASA? The American Bar Association, the National Council of Juvenile and Family Court Judges, and the Office of Juvenile Justice and Delinquency Prevention of the U.S. Department of Justice have endorsed CASA. CASA is described as “the eyes and ears of the judge,” and frequently acts as “the arms and legs” of an overworked child protective system. Which children are assigned Child Advocates? Children who are victims of abuse and neglect and have become wards of the court are assigned Child Advocates. Medina, Real, and Uvalde Counties have one Judge who hears the Abuse and Neglect Docket exclusively. Our goal is an Advocate for every child who needs one. Are there any other agencies or groups that provide the same service? No. There are other child advocacy organizations, but Tri-County CASA is the only program where volunteers are appointed by the court to represent a child’s best interest. What training does an Advocate receive? Tri-County CASA conducts training classes all year. The 30-hour course provides Advocates with an overview of courtroom procedure from judges, lawyers and caseworkers. Advocates are also educated about specific topics ranging from symptoms and effects of abuse and neglect, to early childhood development and culture diversity. How do I get more information about becoming an Advocate? Welcome to Bluebonnet Children’s Center! Our mission is to protect and enhance the quality of life for abused and neglected children in Medina, Real and Uvalde Counties. Thank you for your interest in the Bluebonnet Children’s Center! We are a non-profit organization that houses two (2) programs that fight to prevent child abuse. of its volunteer that give their time to make a difference in a child’s life. 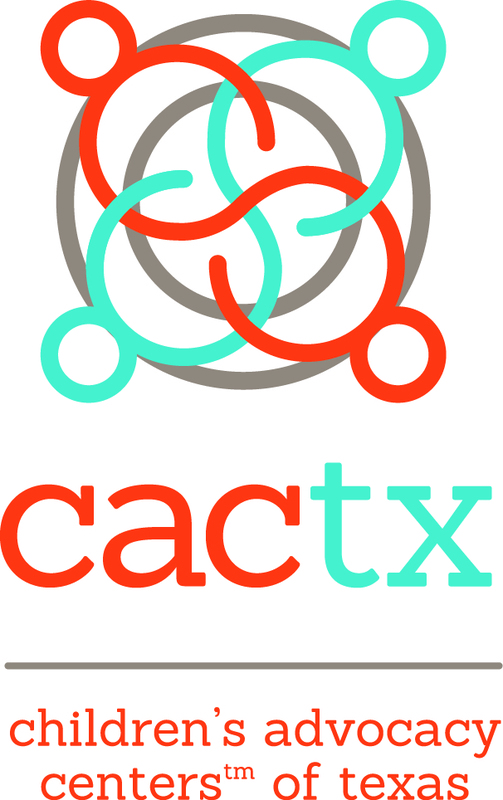 The CAC was formed in April 2002 by concerned citizens from Medina, Uvalde, and Real Counties. Copyright Bluebonnet Children's Advocacy Proudly powered by WordPress | Theme: doctorial by rajanmaharjan45.